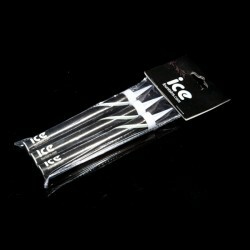 The Ultimate Ice Fountain is the most superior ice fountain bottle/cake sparkler that we offer. This product burns with a standard gold flame for approximately 60 seconds and produces minimal smoke and minimal odour. The most common use for these ice fountains is to attach to the side of a champagne bottle using our Ice Fountain Bottle Tri-Clip. We currently supply this product to the UK’s and Europe’s most reputable nightclubs and bars. This product conforms to European standards EN 14035-15. 1 case of 360 (6 boxes of 60) gold flamed 60 second Ice Fountains. 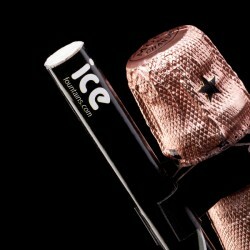 Increase bottle sales within you venue by adding our Ice Fountains to your service. This product conforms to European standards EN 14035-15.